Mali, known as the jewel in West Africa’s crown, boasts a long and fascinating history. The mysterious city of Timbuktu, alone, is enough to capture one’s fantasy. Add to that the Sahara desert, trade routes on camel caravans, and the fascinating Tuareg & Bozo tribes and you have an extraordinary story. But it is the poverty of Mali, ranked the fourth poorest country in the world by UNICEF, which has caught the attention of Compassion Corps. Mali was conquered by the French in the middle of the 19th century, became part of the Sudanese Republic in 1958 and became an independent republic in 1960. 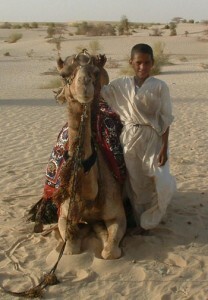 Ninety percent of Malians are Muslim with the rest following animist beliefs. Timbuktu has been a center for Islamic learning since the Middle Ages. Areas in which CC has assisted in the past have included efforts in and around the city of Timbuktu where our partner, Pastor Nouh Ag Infa Yattara, leads a multi-faceted NGO. CC has worked to help children, especially the orphaned & abandoned children of Timbuktu’s “Belt of Misery” by supporting the Elijah House Youth Center. Compassion Corps also has promoted village and project adoptions (wells & irrigation systems, schools, clinics) which permitted economic development in regions of great need. Another vital contribution was in our bringing teams of medical professionals to malnourished peoples who have had little to no access to medical care, yet who live in a region plagued with malaria and countless other diseases. CC also invested time and resources toward helping to develop vocational training for destitute women at the Timbuktu Women’s Center. In light of the ongoing lack of security in the region (due to the activity of terrorist groups) we have been unable to take teams there to serve in recent years. However, we continue to support the work of Pastor Nouh and his courageous team who, after a painful few years as refugees, are again blessing the peoples of Timbuktu through their TNT Mali ministry.